"I'm the Walrus of Loneliness. Let me in." 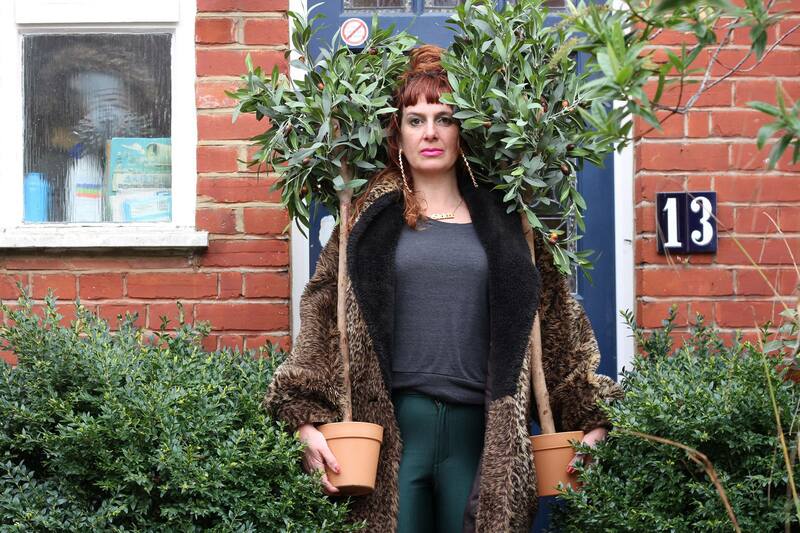 A few years ago in the middle of a shitstorm of life events, single mother, artist and proud Londoner Annie Siddons found herself living in suburbia by accident. This hilarious, brutal and poignant show – combining live performance with films made by Annie and live artist Richard DeDomenici,is about what happened next. Directed by Justin Audibert and Nicki Hobday, films directed by Richard DeDomenici, lights by Andy Purves. Performed by Annie Siddons and Sarah Moore. Performed in Edinburgh by Annie Siddons and Adam Robertson. Performed in Soho by Annie Siddons and Nicki Hobday. How (not) to Live in Suburbia premiered at Edinburgh Festival 2016 at Summerhall, before completing two sell out runs at Soho Theatre in 2017. Annie created a cross disciplinary loneliness symposium with Krissi Musiol from UCLAN and Dr Pamela Qualter at UCLAN in autumn 2016. More are planned for this year. How (not) to Live in Suburbia is currently touring and is being developed for TV. Annie was invited to take part in Alan Davies' As Yet Untitled after he saw her show.